Mud! Glorious Mud! 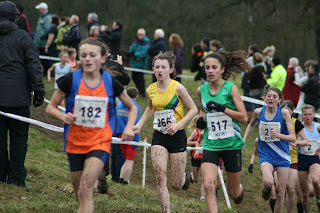 Terrible conditions at the English School's Cross Country at Catton Hall, Derbyshire. 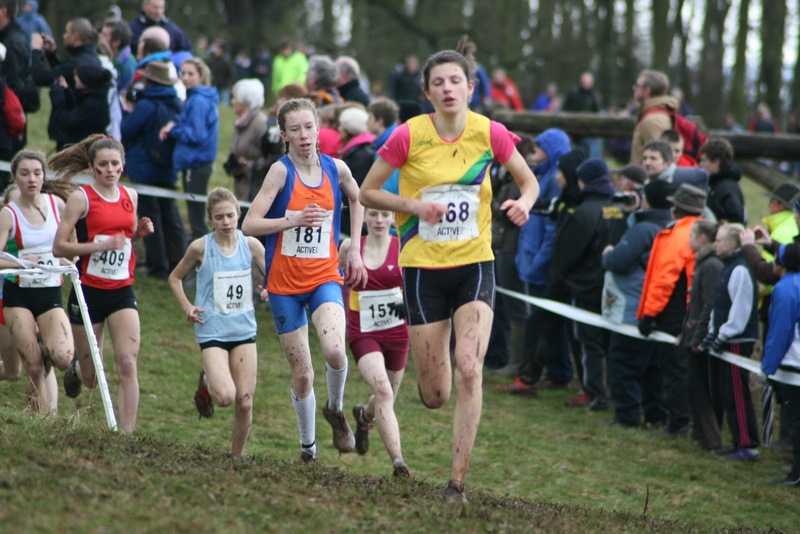 For the majority, it was the last cross country race of the season but again the athletes endured awful conditions after heavy rain had turned the course into a mud bath. The energy sapping course was in the grounds of Catton Hall, which is more commonly used for cross country for horses! There was a good representation of Coritanian athletes competing for the School's Team right across the age groups, with man of the moment, Ben Dijkstra taking another medal. 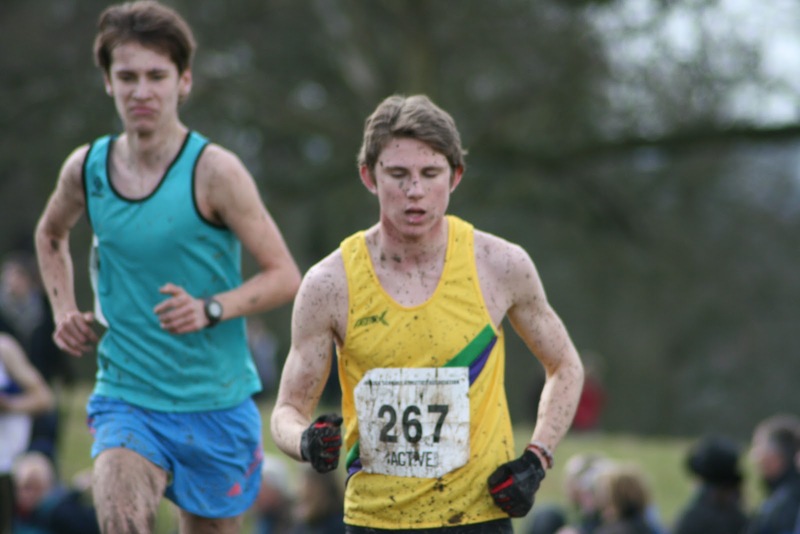 Following on from his English National silver medal, Ben went one better in the Junior Boys race to claim the gold. 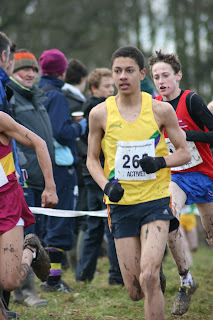 Alfie Thompson also had a great race to finish in 5th place. compete for England in the SIAB Home Countries International which is to be held in Wales next weekend. It is a massive honour for them and the club and it will be a tremendous experience for them too. Bottom aged athlete, Amy Griffiths came away with the bronze medal in the Senior Girls age group. 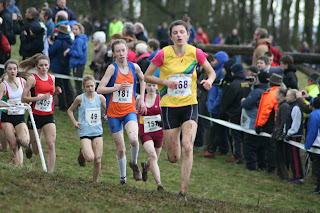 Amy was pleased with her bronze medal, although she had found the conditions tough going. There were two other athletes who achieved top 10 placings. 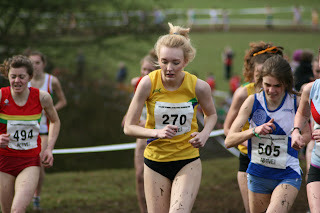 Mari Smith in the Inter Girls race and Jordan Waine in the Junior Girls race. Jordan had a fantastic run considering she was 3rd out of the pen and both girls only narrowly missed out on their England vests.